IM GOIN ROCKIN aka Whisper 3/27/16 Appaloosa filly. Beautiful dun filly that is well balanced, straight and has very willing disposition. 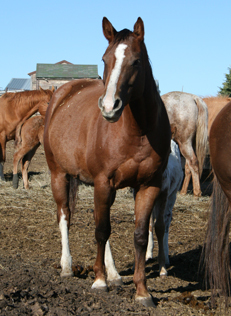 She has the Zippos Country Cat bloodlines that have produced such athletic individuals out of our "Secret" stallions. She is a full sister to the ApHC Museum raffle filly this year. She will make a outstanding prospect for yearling classes next year! Nicky Overgaard, instructor at UMC, " This mare went through UMC's Training class and has a very solid start. She is ready to move into someone's program. She is so flat in front and has a beautiful, floaty trot. That same flat knee accompanies her lope as well. She is a very willing worker and is so easy to get along with. She is very tolerant of mistakes, and will flourish with additional training. She has been worked inside and ridden outside as well with confidence. Walks, trots and lopes both directions. Sidepass, haunch and forehand turns and backing are all there. Picks up feet well, ties, crossties, loads easily, and can clip without issues. With additional training, will be a nice little show horse. 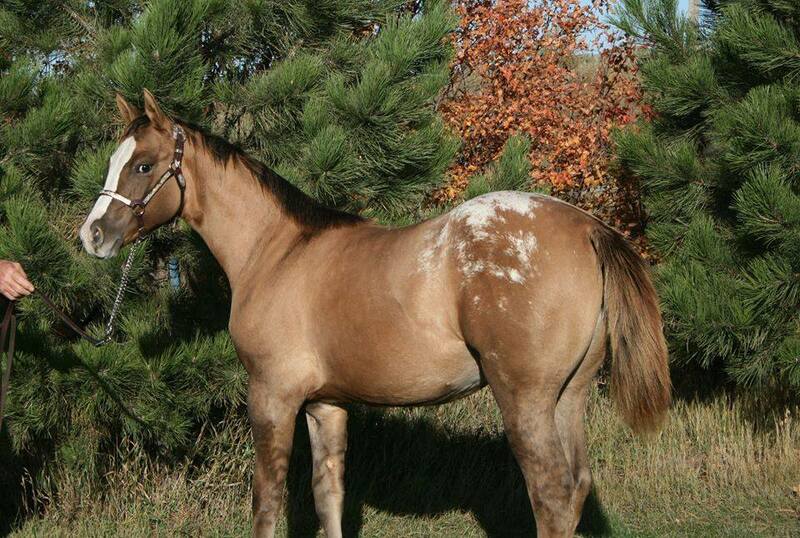 Certainly an eye-catcher with her coloring and markings. She has a baby doll head and long lovely neck! Conformationally, I fault her a little long through her back, but her legs are straight and she has a big, square hip.. Conformationally, I fault her a little long through her back, but her legs are straight and she has a big, square hip. Nice daughter of Zippos Country Cat for sale. Matty is broke to ride and has been ridden on wagon trains and trail rides.